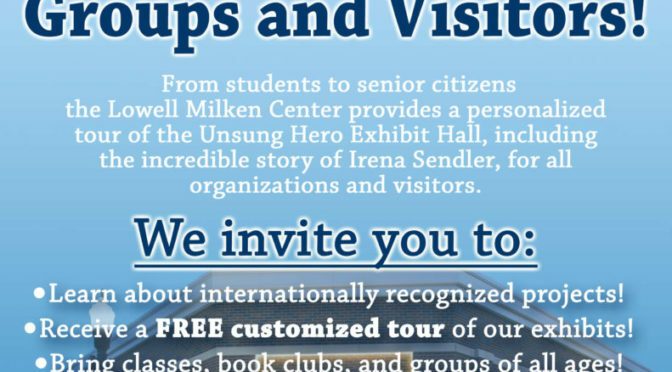 The Lowell Milken Center for Unsung Heroes can be a place for local clubs, classes and organizations to get a facility tour and have their scheduled meetings. 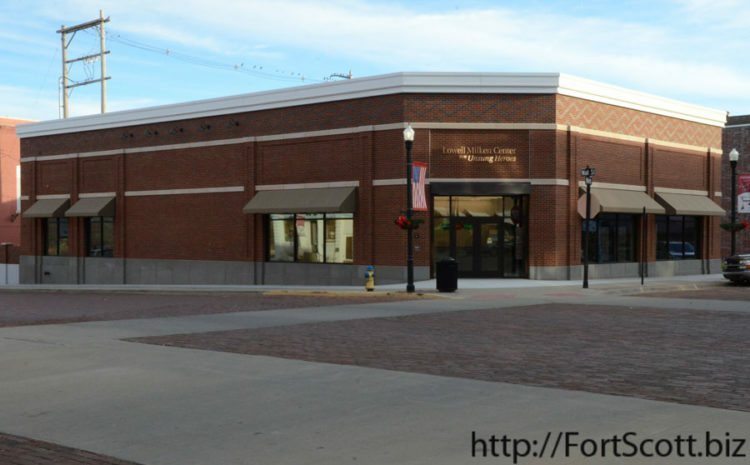 It can accommodate up to 45 people, Davenport said. The LMC needs clubs/classes/organizations to schedule two weeks prior, so as not to conflict with previously scheduled events. The room is huge, with a glass-faced southern view of the greenspace next door to the building. 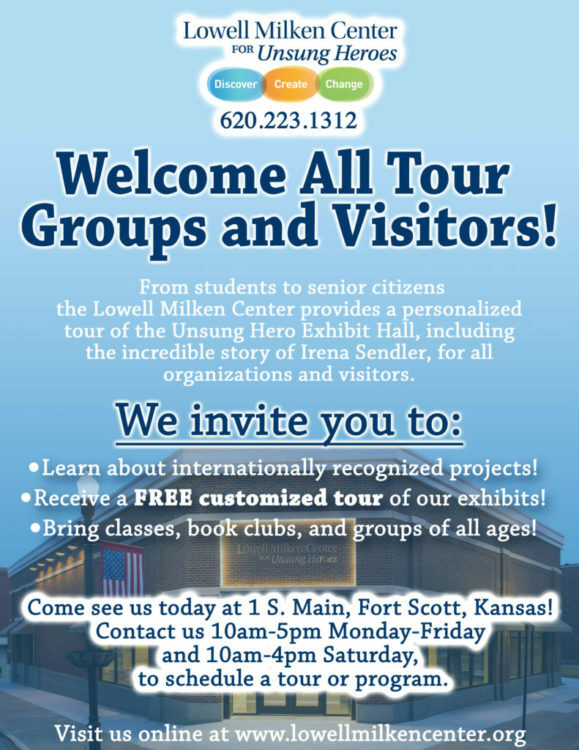 Contact the LMC at 620-223-1312 between 10 a.m. to 5 p.m. Monday through Friday and 10 a.m. to 4 p.m. on Saturday. 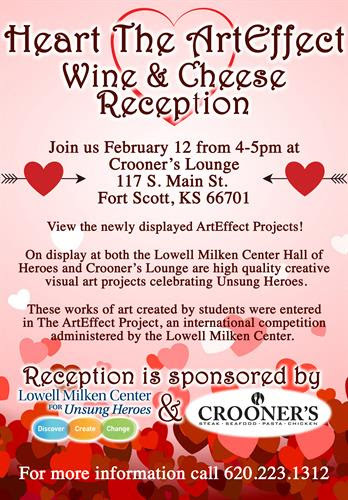 One group that has used the Lowell Milken Center for Unsung Heroes is the Fort Scott Chamber of Commerce seen here at a weekly coffee event. 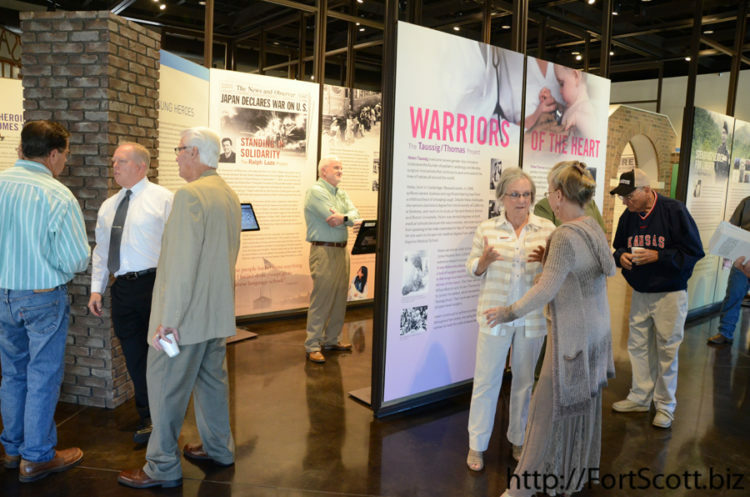 The conference room is adjacent to the unsung heroes exhibition space.